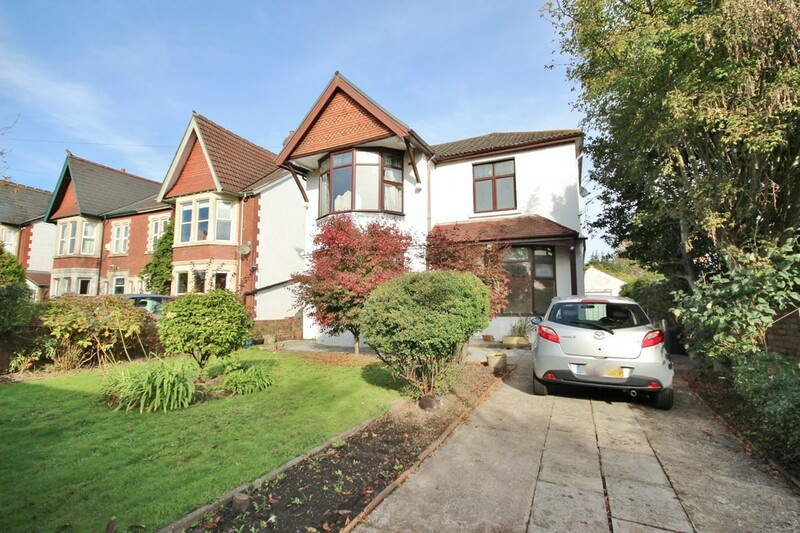 A rare opportunity to purchase a traditional, four bedroom detached property, situated at the end of one of the most desirable roads in Whitchurch /North Llandaff. 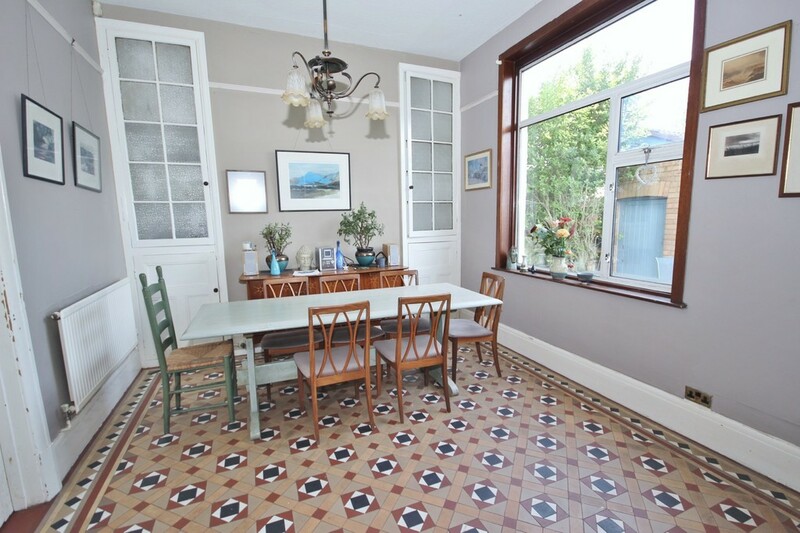 Built in the 1930s, this substantial family home has the benefit of marvellous original features, evident in every room of the house, with ornate coving, coloured quarry tile flooring, high ceilings and original internal doors, displaying a high standard of craftsmanship. 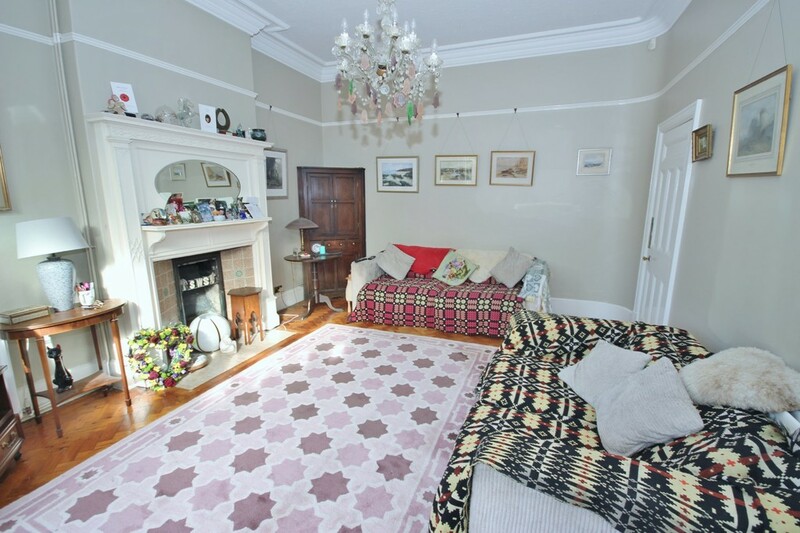 Most of the rooms have retained their original mantelpieces. 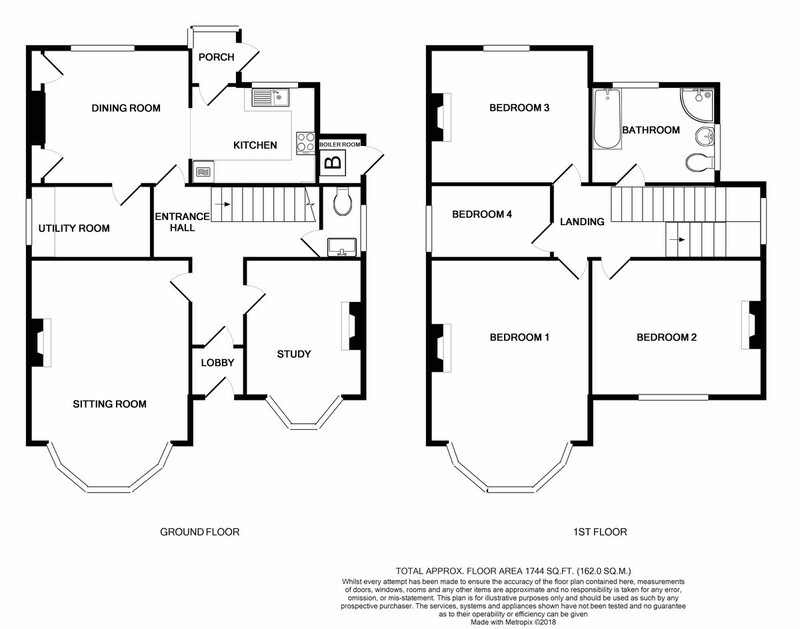 The accommodation briefly comprises an open porch, internal porch, entrance hallway, sitting room, study, kitchen, dining room, utility room and WC. 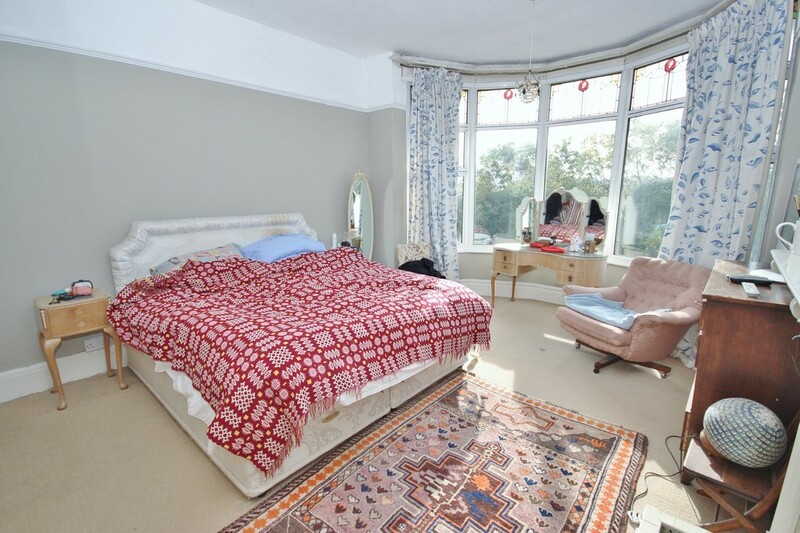 To the first floor is a large landing, four large double bedrooms and a family bathroom. 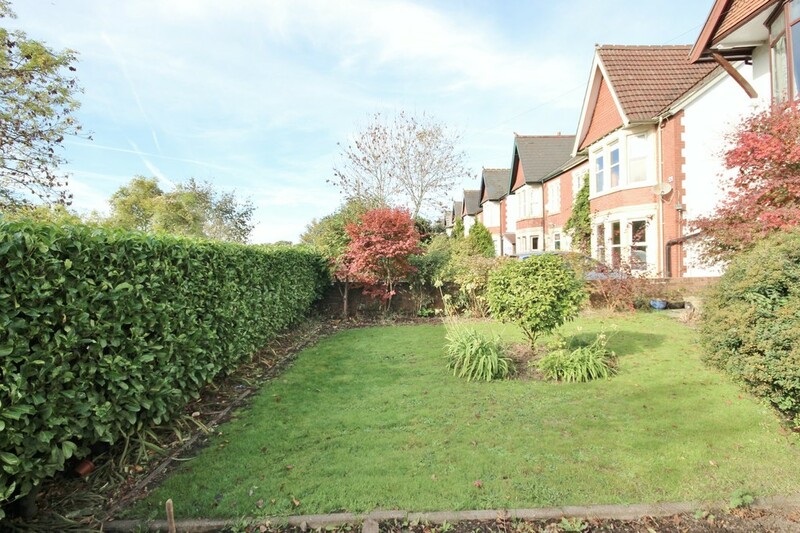 To the front of the property is off road parking for two cars, as well as ample on road parking. Front and rear gardens are attractively bordered by mature flower beds and trees. 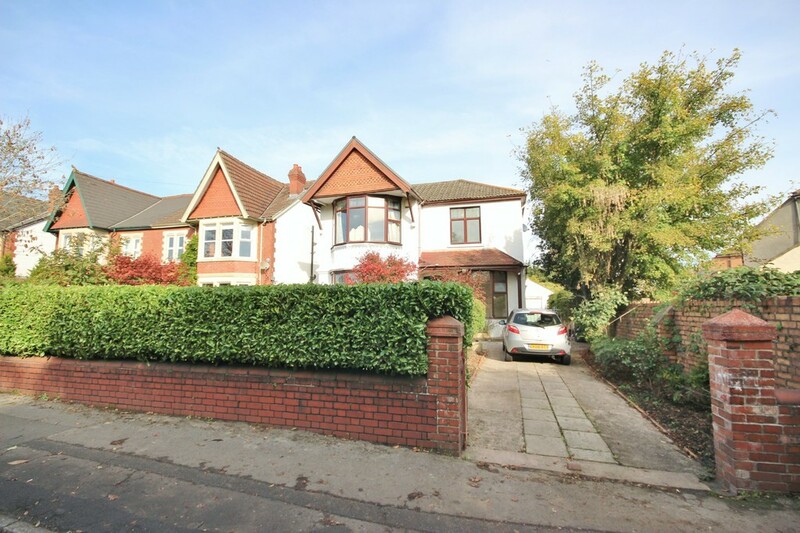 Excellent access routes into and out of Cardiff City, with the M4 and A470 motorways close by. 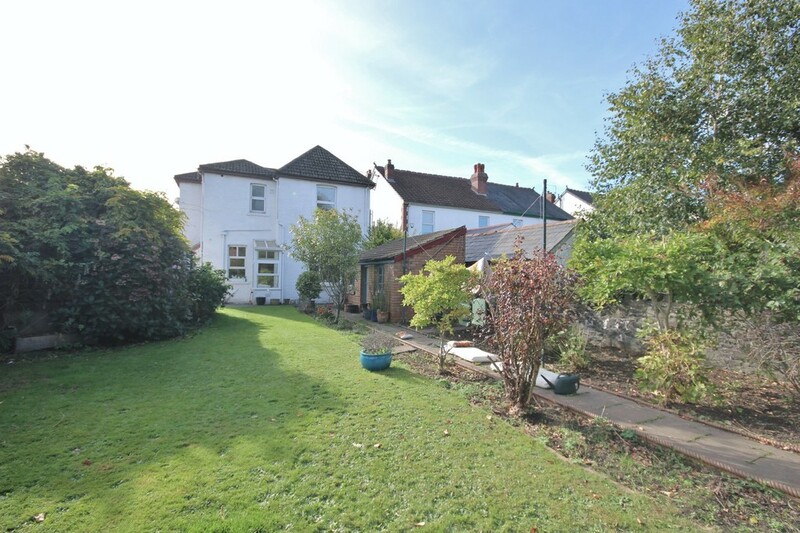 Located within easy reach of Whitchurch Village and its highly regarded schools and Llandaff North train station. 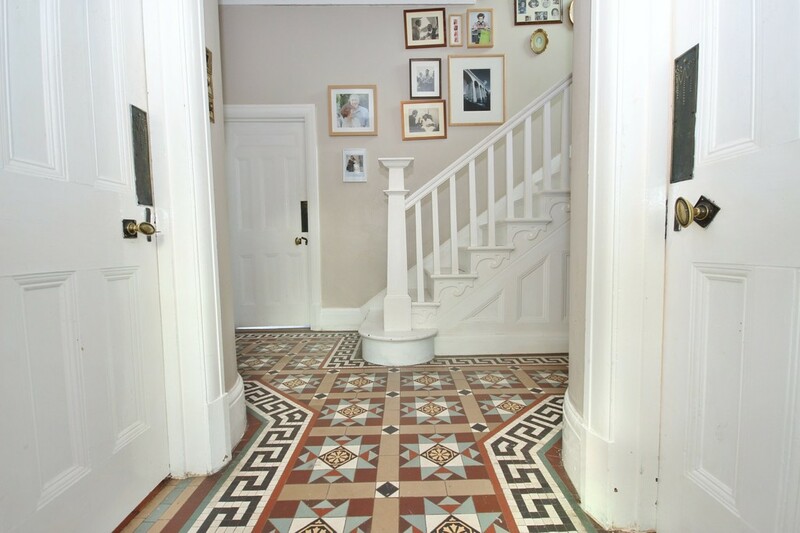 INTERNAL PORCH	Via open porch with black and white quarry tile floor. Original front door with coloured lights. Painted walls and ceiling, original coloured quarry tile floor. 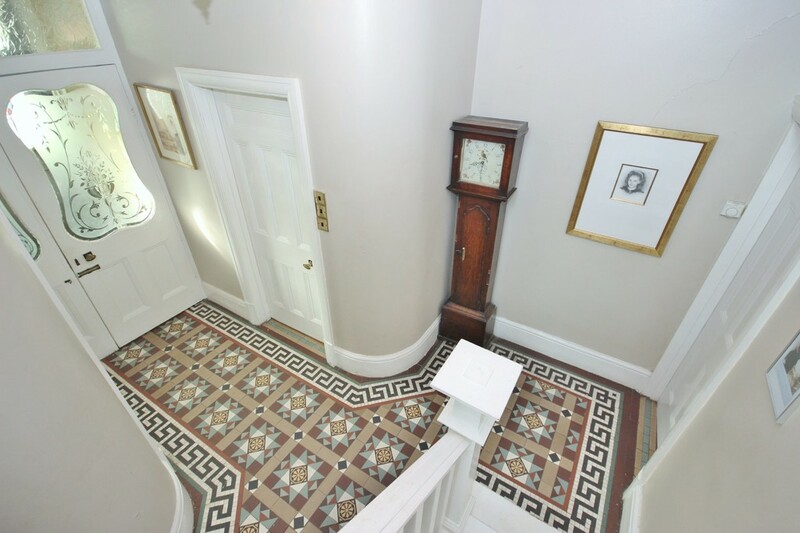 ENTRANCE HALL	Via superb original wooden door with etched glass. Painted walls, coving, papered ceiling, original coloured quarry tile floor. Understairs storage cupboard. Double radiator panel, heating thermostat. Alarm controls. Stairs to first floor. 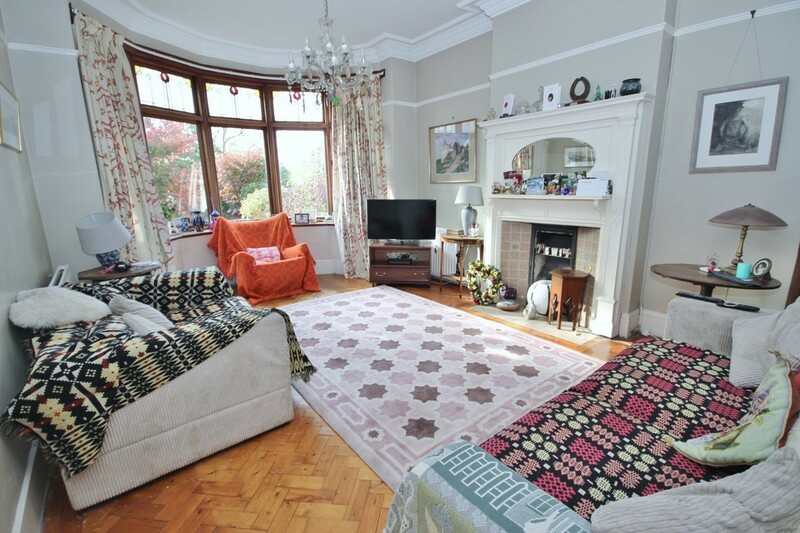 SITTING ROOM	19'2" x 13'5" (5.84m x 4.10m) max. 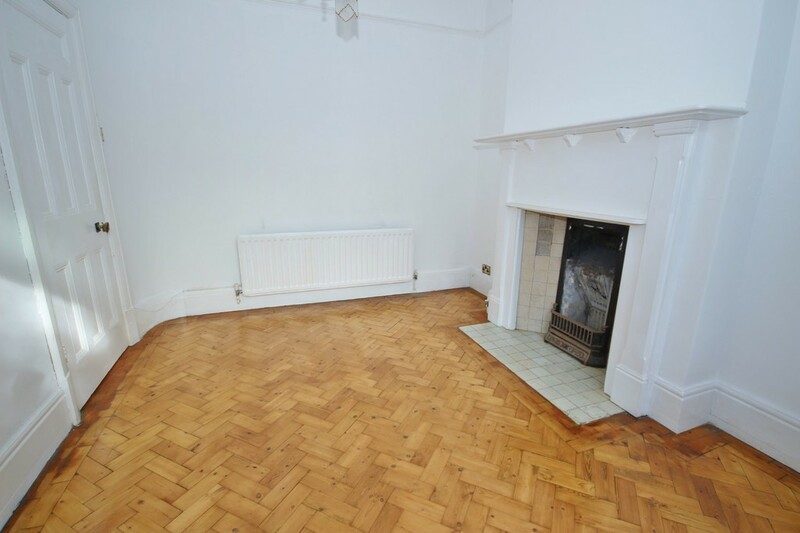 Painted walls, picture rail, coving, papered ceiling, herringbone pattern parquet flooring. Double radiator panel. Original mantelpiece with tiled insert and hearth. Double glazed wooden windows to front bay. Two double radiator panels. TV point. STUDY	12'11" x 9'10" (3.94m x 3.01m) max. 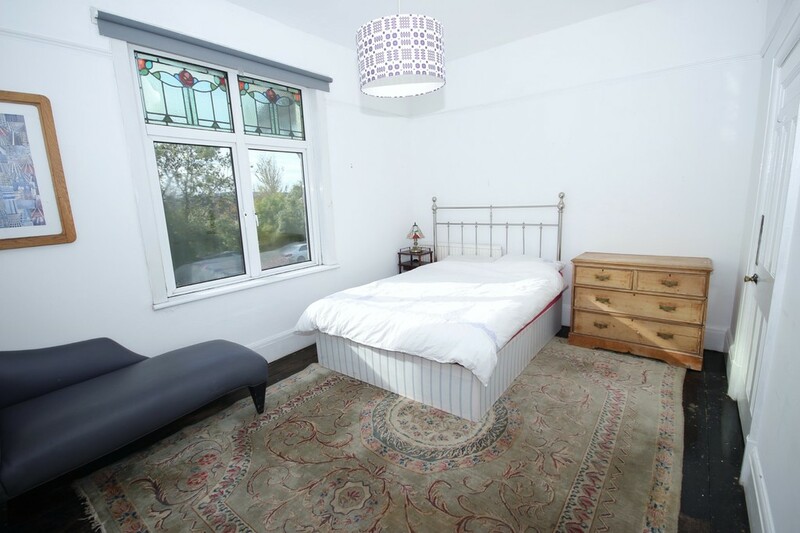 Painted walls, picture rail, coving, papered ceiling, herringbone pattern parquet flooring. Double radiator panel. Phone point. Double glazed wooden windows to front. Tradition mantelpiece with tiled insert. WC	White suite comprising wall hung basin with chrome taps, low level WC. 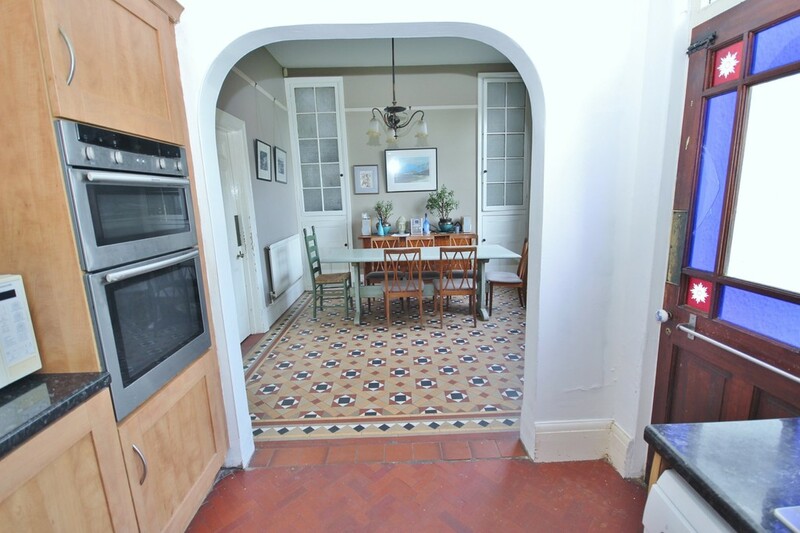 Original half tiled walls, painted walls and ceiling, tiled floor. Double glazed window to side. KITCHEN	10'3" x 8'4" (3.08m x 2.64m) max. Cherry wood effect units with marble effect worksurface and tiled splashback. Single stainless steel sink and drainer with chrome mixer tap. Four ring gas hob, extractor fan over, double electric oven. Heating controls. Painted walls and ceiling, coloured quarry tile flooring. Door to small uPVC rear porch. UTILITY ROOM	10'2" x 5'5" (3.14m x 1.89m) max. Painted walls and ceiling, quarry tile flooring. Double glazed uPVC window to side. 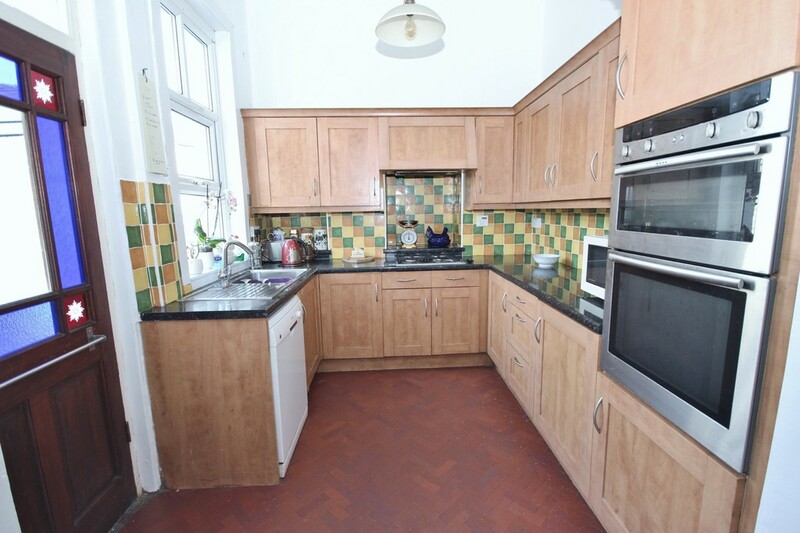 Space for washing machine, dryer and fridge/freezer. LANDING	Via painted staircase. Double glazed uPVC window to side. Painted walls, coving, painted ceiling, painted floorboards. BEDROOM 1	19'1" x 13'7" (5.84m x 4.15m) max. Painted walls, picture rail, painted ceiling. Double glazed windows to front bay. Original mantelpiece. Single radiator panel with TRV. BEDROOM 2	14'7" x 10'7" (4.46m x 3.24m) max. 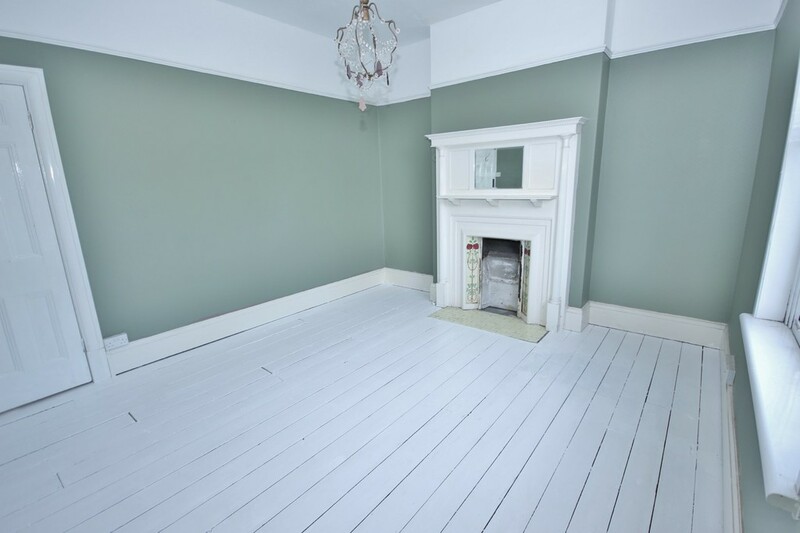 Painted walls, picture rail, painted ceiling, painted floorboards. Double glazed uPVC window to front. Original tiled mantelpiece. Single radiator panel. BEDROOM 3	13'6" x 11'9" (4.13m x 3.60m) max. Papered walls, picture rail, painted ceiling. Double glazed uPVC window to rear. Single radiator panel with TRV. Original mantelpiece with tiled insert and hearth. BEDROOM 4	10'3" x 6'4" (3.14m x 1.98m) max. 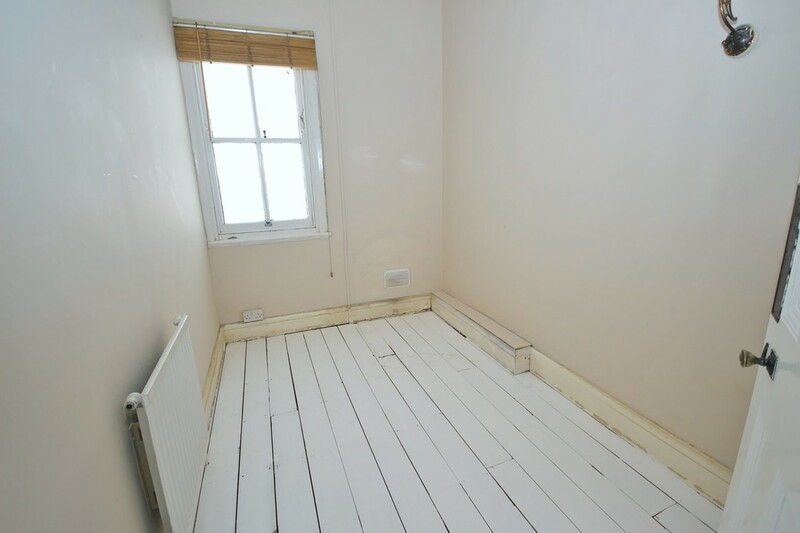 Painted walls and ceiling, painted floorboards. Single glazed window to side. Single radiator panel with TRV. Access to loft area. BATHROOM	10'1" x 8'8" (3.08m x 2.64m) max. 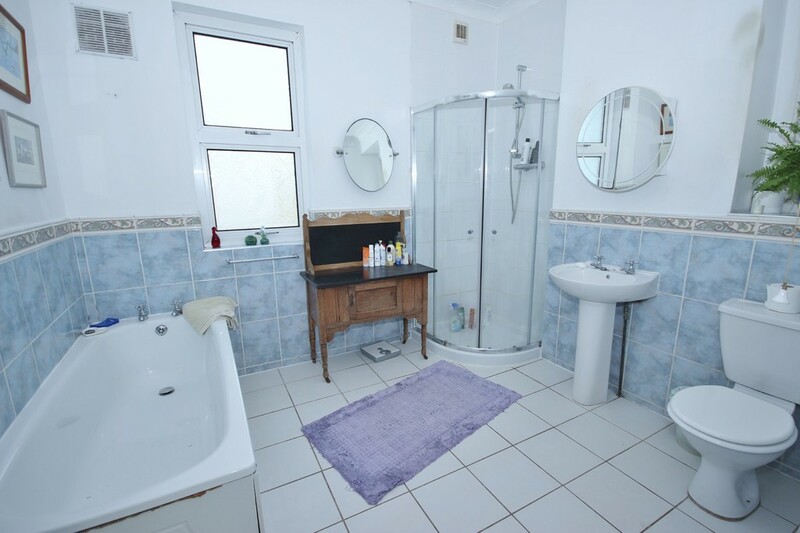 White suite comprising pedestal basin with chrome taps, low level WC, bath with chrome taps. Separate shower cubicle with chrome mixer shower and sliding doors. Double glazed uPVC window to rear, single glazed window to side. Half tiled walls, painted walls, coving, painted ceiling, recessed lighting, tiled floor. Chrome heated towel rail. OUTSIDE FRONT	Driveway with off road parking for two cars, leading to narrow driveway and single detached garage with up and over door. Small lawn with mature shrubs and trees. Hedge and brick wall to perimeter. REAR	Paved patio area. 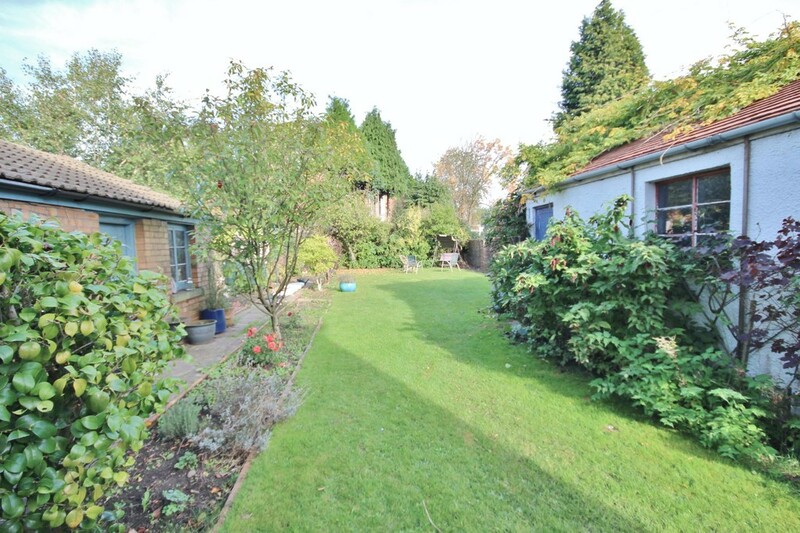 Detached, brick built potting shed. Large lawn with mature shrubs and trees. Traditional washing line. External tap. Small outhouse containing Worcester boiler.